Wong Kar-wai, the Hong Kong director known for stylized cosmopolitan romances including In the Mood for Love, 2046, and Chungking Express, will discuss his career in an evening of conversation and clips from many of his films. One of the most influential contemporary directors, Wong makes impressionistic, evocative movies that capture the fleeting nature of time and love. 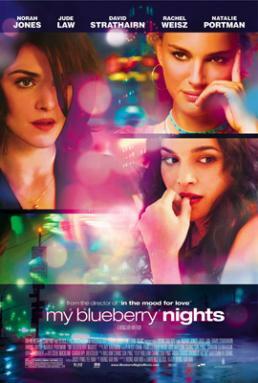 The evening will include scenes from Wong’s latest film, My Blueberry Nights, an English-language romance set in New York City, starring Norah Jones, Jude Law, and Natalie Portman, and an introduction by Academy Award-winning director Ang Lee. The program will be moderated by Chief Curator David Schwartz. $17 for Museum and IFP members/Free for Sponsor-level members and above/$25 non-members.